The Vorontsovs were statesmen, diplomats and generals. 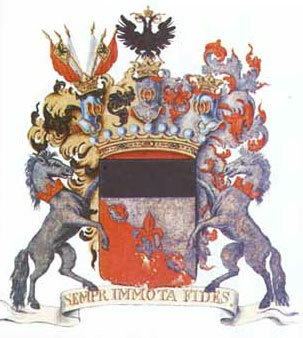 Also called Woronzow or Woroncow, they were a celebrated Russian family who became Counts of the Holy Roman Empire in 1744 and Serene Princes of the Russian Empire in 1852. The Vorontsov’s commissioned numerous Palaces across Russia and formed extensive collections of art and antiquities. Ivan Lindsay continues the Vorontsov art collecting tradition. Whereas the Vorontosov’s collected the art of their times including Old Masters, Objet d’arts and antiquities Lindsay has focused on 20th century Russian paintings and sculpture. The high point for this family arrived with Feodor Vorontsov who was de facto ruler of Russia during the minority of Ivan IV (1543). The fortunes of the family waxed and waned over the following centuries until they were finally dispossessed of their palaces and possessions following the revolution of 1918. Mihkail Illarionvich Vorontsov built the Vorontsov Palace in St Petersburg on a large parcel of land wedged between Sadovaya Street and the Fontanka River. The 50-room palace took 8 years to build from 1749 and was designed by Francesco Bartolomeo Rastrelli. It is now the Suvorov Military Academy. Count Semyon Romanovich Vorontsov (1744 – 1832) was a soldier who, having distinguished himself in the Russo-Turkish War, was appointed to London as a diplomat. Legend has it that Grigoriy Potemkin, Catherine the Great’s famous favorite and Prime Minister, was the one who persuaded the Empress to send Vorontsov abroad in order to get rid of a potential rival. 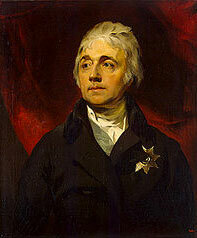 Vorontsov was promoted to the rank of Ambassador and remained in England until his death. 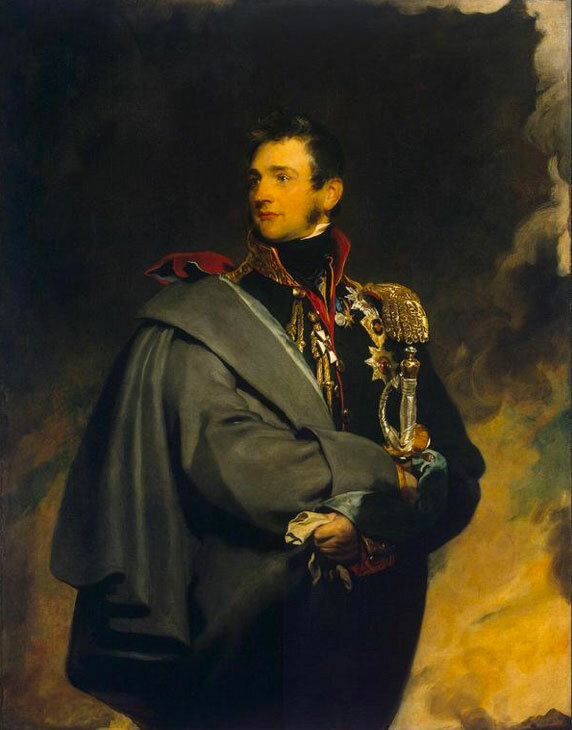 His daughter, Ekaterina, married Lord Pembroke of Wilton, while his son Prince Mikhail went back to Russia and became a successful field marshal in the war against Napoleon after being wounded at Borodino. After leading several campaigns in the Russian southern territories he was appointed Viceroy of Caucasus and Crimea where he built the famous Palace, Alupka that is now a museum. When the Tsar visited and became jealous over the obvious cost of the extensive palace and grounds Vorontsov burnt all his receipts so as to keep his costs a secret. Vorontsov later had problems with Pushkin who courted his wife Vorontsova and sent her love poetry. Vorontsov managed to get rid of Pushkin by sending him away to record locust damage in the remote Dnieper region for 2 years, where, ironically Pushkin, with nothing else to do, wrote much of his best work. Churchill stayed at Alupka during the Yalta conference and tried unsuccessfully to persuade Stalin to let him take the famous pair of marble lions by Bonomi, which guard the main entrance, back to England with him. Most of the Vorontsov art collection was nationalized after the revolution of 1917 and sold by the new Soviet government. Much of the remainder was stolen by the Nazis in WWII who removed 541 paintings alone from Alupka. They used the Palace as their headquarters during their Crimean campaign. The Nazi commander in the Crimea was promised Alupka by Hitler at the end of the war and, as such, he formed an attachment to the beautiful palace that meant he disobeyed his orders to dynamite it on the Nazi retreat. What little of the Vorontsov art collections that remains can presently be seen in several museums on the territory of the former Soviet Union, including the State Museum of Archaeology in Odessa and the State Russian Museum in St Petersburg.